If it was the beautiful country roads and Tour de Lopez that helped establish Lopez as “the biker’s island,” it will be entrepreneurs like Heidi Hernandez and Michael Cherveny who will help the island keep that reputation. Heidi and Michael opened Village Cycles four years ago and have been steadily putting more Lopezians and island visitors on the road ever since. Heidi moved to Lopez many years ago from Michigan after seeing stunning images of the Pacific Northwest in National Geographic, when she announced to family and friends, “I have to move there.” Michael was brought to Lopez by a farm internship on Horse Drawn Farm. Serendipity and a shared dream of opening a bike shop brought them together. Like so many others on Lopez Island, Heidi and Michael took a bit of a leap of faith when they started their business here. When Village Cycles opened, perhaps a better nickname for Lopez would have been “the biker’s island – between April and September.” Heidi and Michael saw an opportunity in that, so they decided to pursue their dream of owning a year-round Lopez bike shop together. They have been as successful as they have, in part, due to the existence of the Lopez Community Land Trust. 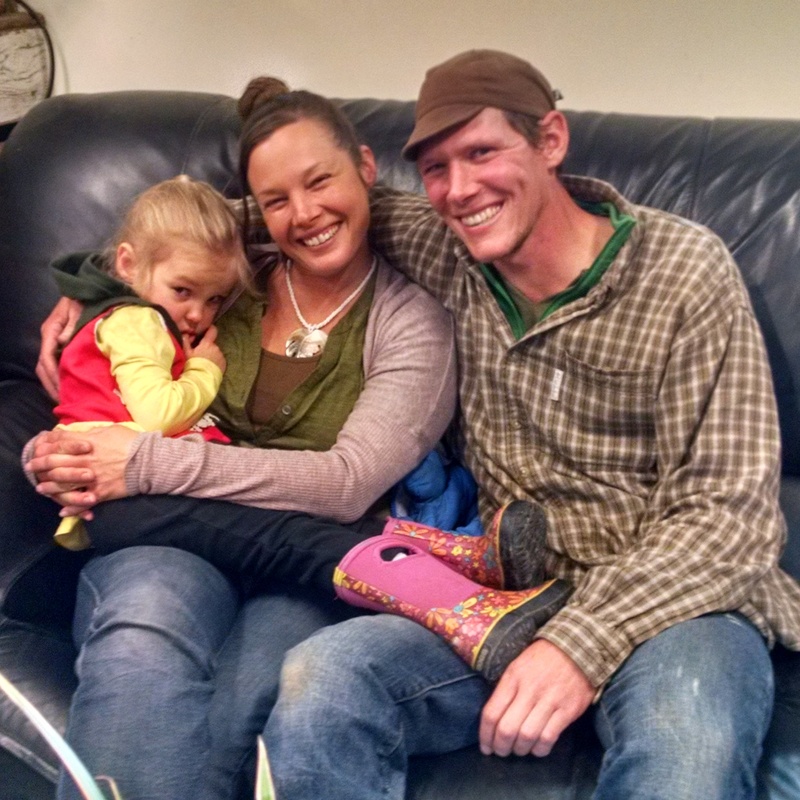 Heidi, Michael and their family live in Tierra Verde, one of the LCLT’s Affordable Housing Program neighborhoods. With much of the heavy burden of housing costs lifted, they have been financially freed up to focus on growing their bike business. And grow it they have. Last year, Heidi and Michael moved their shop from what they described as the “shoebox” on Lopez Road to their much more spacious present location next to Paper Scissors on the Rock in Lopez Village. 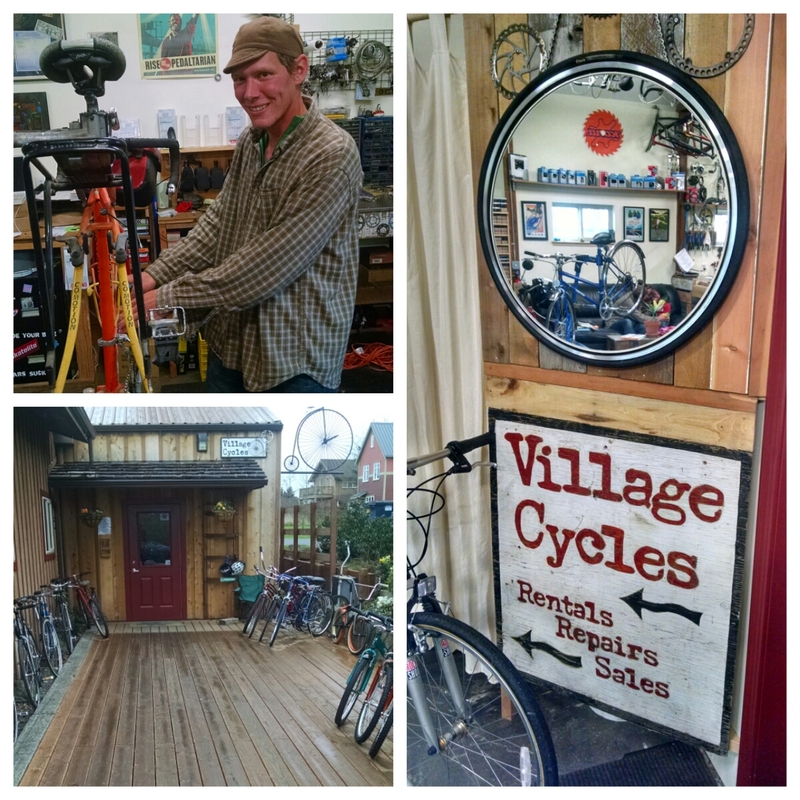 From 2013 to 2014, Village Cycles doubled their number of rented bikes. They sold more than ninety used bikes last year, and they’ve just started stocking brand new bikes in the store. To get ready for an even busier 2015, Village Cycles will soon be hiring two more part-time employees. The summer influx of visiting bike riders – and therefore Village Cycles customers – is a given. What’s not as certain is the business during the off-season, which is where these bike shop owners have put a lot of their focus. “We just want to help more people get on the road,” said Heidi when I visited the store last week. Heidi and Michael have done that in a few ways. For starters, they teach bike maintenance classes during the winter. They’ve also started to make available six rental bikes at the ferry landing – for those Lopez visitors and residents who need a bike as soon as they get off the ferry on the north end of the island. All you have to do is call the store, give your credit card number and Village Cycles will give you the code to unlock a bike. What has put a lot more people on the road are the electric bike kits that Village Cycles has started selling to residents. Lopezians know it’s a myth that Lopez is flat, and some of the hills around the island are what keep people off the road. Converting regular bikes into power-assisted electric bikes helps get would-be bike riders over that hump. Michael says that the shop sells at least one electric kit every week. He’s so encouraged by this trend that he says Village Cycles plans to start selling full-on electric bikes soon. You can see the impact on the road – with more Lopezians biking instead of driving into the Village to run their errands. Heidi and Michael came to Lopez for the beauty and lifestyle. Opportunity and community is what keeps them here. “You really feel appreciated here,” Michael explained as he reflected on what’s driven the growth of Village Cycles. That’s the thing about Lopez. If you show you’re willing to invest in the people, the people will invest in you. Looking for some help to get that bike on the road? Pay a visit to Heidi and Michael (and, if you’re lucky, their daughter, Stella, too) at Village Cycles. Thanks Tim! Great post and blog. This is the true Spirit of America. Hard work pays huge rewards. Hats off to Mike, Heidi and Stella. Another informative post from project 468. Thank you Tim. Another Lopezian success story. Thank you Tim for introducing Heidi, Michael and Stella. Awesome article. Hopeyour dreams keep coming true.